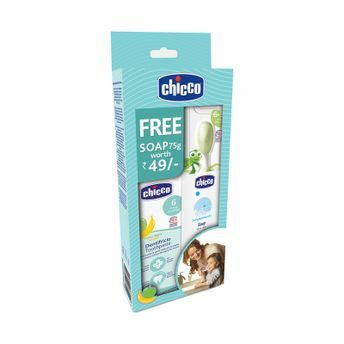 Chicco brings to you a complete range of oral care products that are effective and safe to gently cleanse baby's gums and teeth from day one. Paediatricians recommend cleaning baby's teeths after each feed to remove bacteria and ensure maximum hygiene. The combo pack is very useful for the baby to start his oral hygiene and making it an enjoyable one.